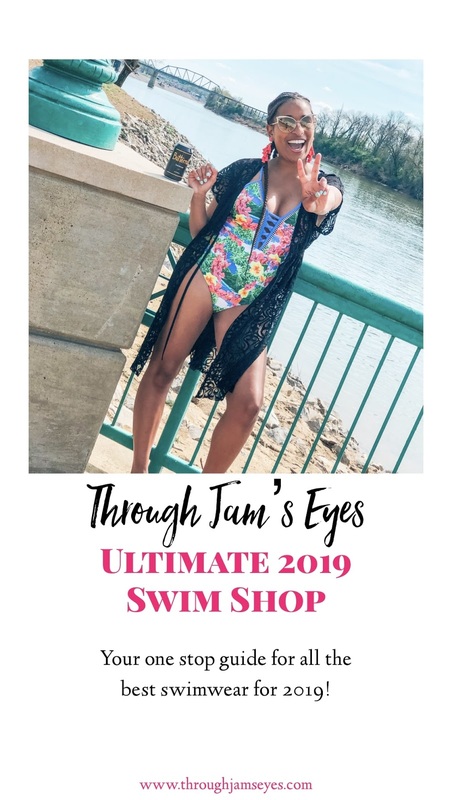 I'm so excited for today's post because I will be sharing some of my favorite swimsuits for 2019! This is the perfect time to buy swimwear and swimsuits because every store is pretty much putting new ones out right now! By the time summer gets here, all the cute swimsuits are usually gone or picked over, so I always like to stock up this time of year. Not to mention, I like traveling in the spring to beaches too and not just in the summer, so you'll need new swimsuits now too! First let me give you the details about the swimsuit above that I am OBSESSED with! This Swimsuit is from Red Dress Boutique and I love it SO much. The colors are so vibrant and perfect for spring/summer. It also fits true to size! Now, for the rest of my picks. I'm going to split them up into categories to make it easier for you to shop! They will be separated by price and style. Keep in mind that a lot of these are currently ON SALE(! ), so I would shop quickly if I were you. If you have any questions about any of the swimsuits listed here, please don't hesitate to let me know. Are you excited? Because I am! :) Let's get into it guys! These are such cute swimsuits! I actually need to get a few for vacay lol! Love your swim suits. I have to get them out for spring. So many amazing swimsuits! I have no idea where to start! Love how you broke it down by price, this is a great post! Oh my gosh...so many cute swim suits that are super affordable! I love that white off the should bikini! I love how you categorized all these fun swimsuits. There's so many options. I haven't gone swimsuit shopping in ages, because I rarely go to the beach/pool. But I might switch that up this year - so I should check these out! Love these sassy one pieces! This post has me ready for a beach vacay. All of these swimsuits are so cute babe! I love the floral prints and the stripes! So many cute swim suits. Ok I am loving ALL of your picks... but I seriously think I need that shein floral one! These are all great picks! They all got a sense of flair. So many cute swimmies! Loving the colorful one on you best! These are such cute swimmies! I love the two you have on, the red and burgundy! That navy and white one shoulder one piece is the cutest thing ever! Absolutely love it - and so many of your picks! I have been looking for swimsuit! I have some good ideas !! I love that one piece suit youre wearing! Such a great roundup- the red pom pom one is my fave on you! These are really cute swimsuits! Getting me ready for my 2 trips this summer. The stripe one pieces are my fav! Excited for summer! Super cute!! All about the Sales. Ready for the beach after reading this! I absolutely love that red and white swimsuit!